What Does Old Shop Guy Think of the Tour? Asked our Facebook fans what they thought Old Shop Guy thinks of the Tour this year. 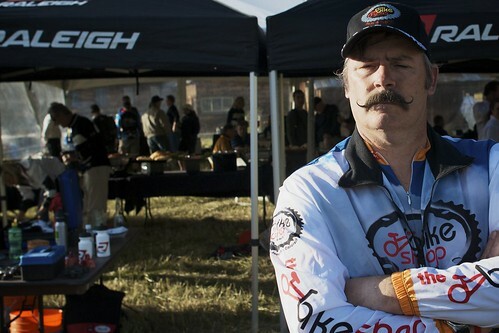 Bryan Miick is the owner and lead mechanic of the Bike Shop in Grand Junction, CO, and looks like he’s been ‘round forever. I took his photo at the Midsummer Nights Cross Race and didn’t get to talk to him, but would’ve ask him about the Tour, Cross bikes, and more. Probably would’ve got into 29rs too. What do you think? Best Tour in years?